The Sunliner Diner, in the heart of beautiful Gulf Shores Alabama, is turning back the hands of time - to the 1950's. 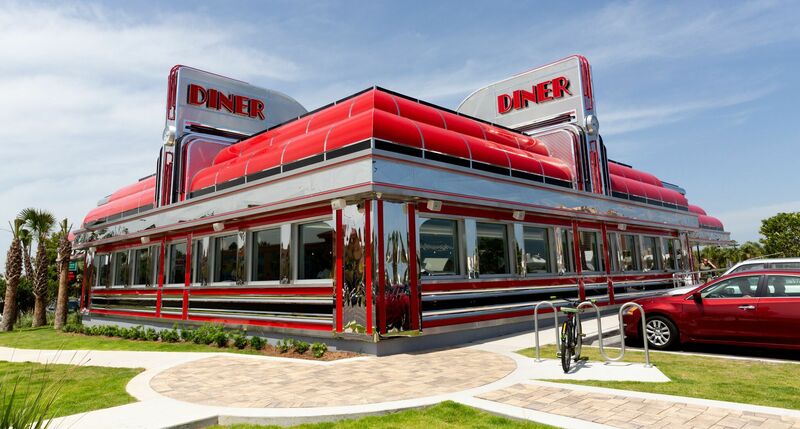 The Sunliner Diner is the quintessential symbol of American culture, a restaurant where family and friends can connect over burgers, milkshakes, and cherry pie! Grab a newspaper menu, toss a quarter in the Jukebox and listen to rock-n-roll, while you enjoy a delicious sundae. Take a photo by the 1957 Ford convertible parked out front, and don't forget breakfast is served all day! Located just walking distance to the beautiful white sands of Gulf Shores, Sunliner Diner is an attraction you won't want to miss on your next beach vacation.